We’ve got some magical and momentous trips planned for 2019 and 2020 and we want you to be the first to know about them! 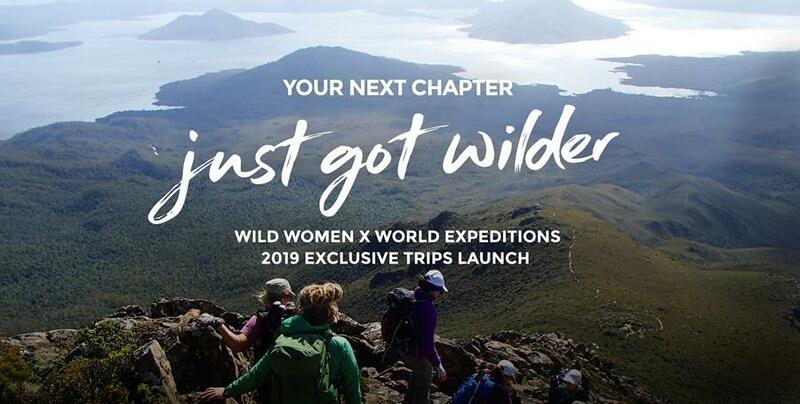 You’re invited to Wild Women On Top’s exclusive trips launch on Friday 3rd May, hosted by World Expeditions. You’ll be the first to find out what bucket-list adventures we’ve got planned and the juicy details that make them so special. You’ll have the chance to speak directly to the Wild Women team, the experts in hiking adventures. We’ll tell you how to prepare for your next trip, share our tried and tested trekking tips and answer your curly questions. Plus, this event is FREE (seriously, what more could you hope for). There are a strictly limited number of spots available, so RSVP before Friday 19th April to secure your spot!